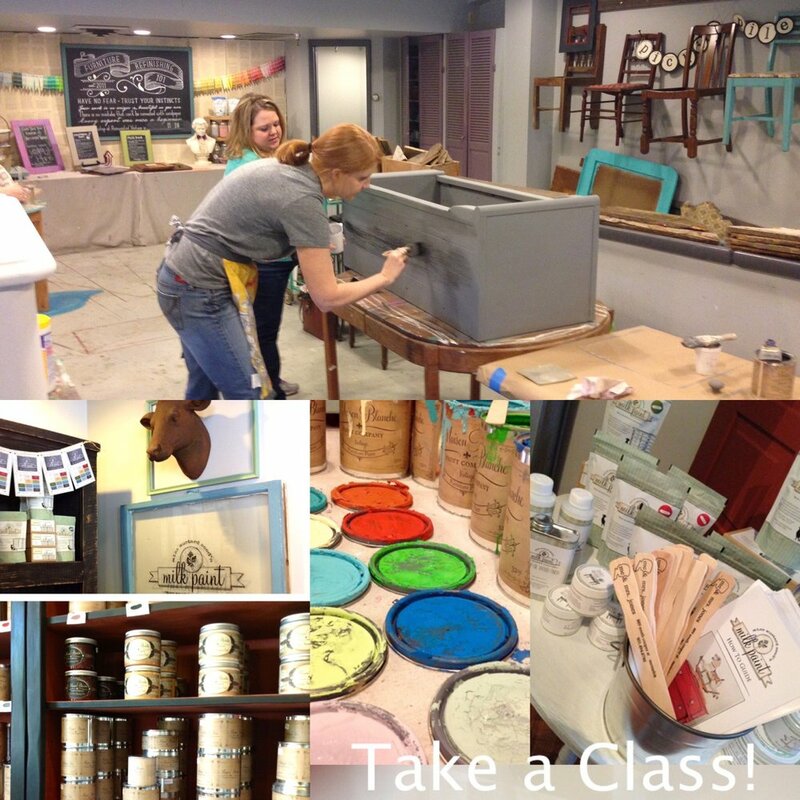 We offer furniture painting classes on both Maison Blanche Vintage Furniture Paint (chalk based paint) and Miss Mustard Seed's Milk Paint. Classes rotate between bring your own piece and technique styles. Bring your own piece takes your from start to finish on a piece you bring from home or choose from the pickin' pile (additional fee may apply). BYOPiece workshops run $65 per attendee. Technique covers a variety of skills on sample boards you can take home for future reference. Technique workshops run $45 per attendee. We do offer private furniture painting workshops, from 1 to 8 people. These make great ladies nights and birthday parties! If you are interested in learning the more advanced techniques drop us a line and we will get something scheduled! 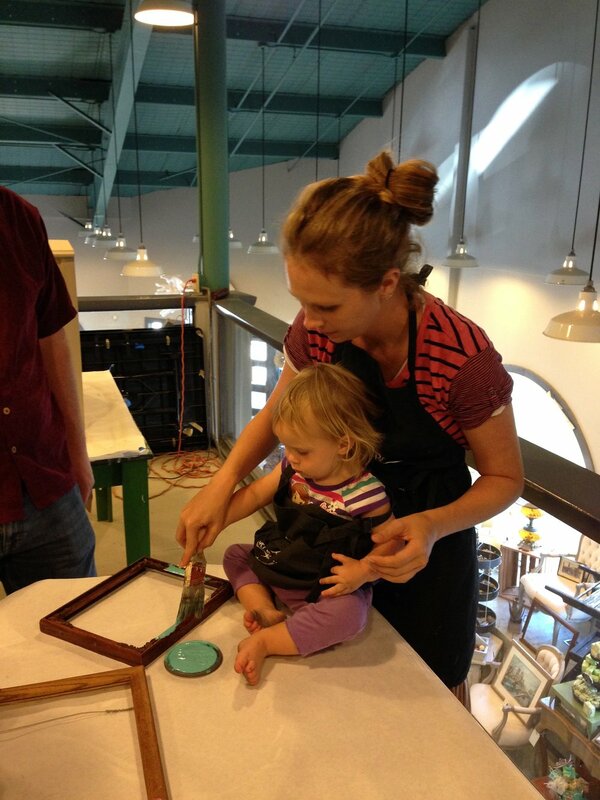 Check out some of the great projects people have created during out furniture paint workshops! Check out our schedule to see what dates would be right for you! Distressing to show the details! Yes, you can paint metal! Distressing and getting ready to wax! Easy enough for a baby! Fun jewelry hanger using a frame and burlap. Painted with Maison Blanche Vintage Furniture Paint. Learning about the texturing products from Annie Omar herself! Annie founded Maison Blanche because of her love of art and need to be creative. Such an amazing experience to have Annie come teach us! Zig Zag Lines roller with Riviera and the Coal Tar Glaze with the Satin Varnish to seal. Boucle - this makes your furniture look like Boucle wool! A great way to give that extra something to your piece of furniture! Come in to the store to see these and other samples of the products in the line. Grit Texturing Paste with the Subway Tile roller. Ivory paint and the Satin Varnish. 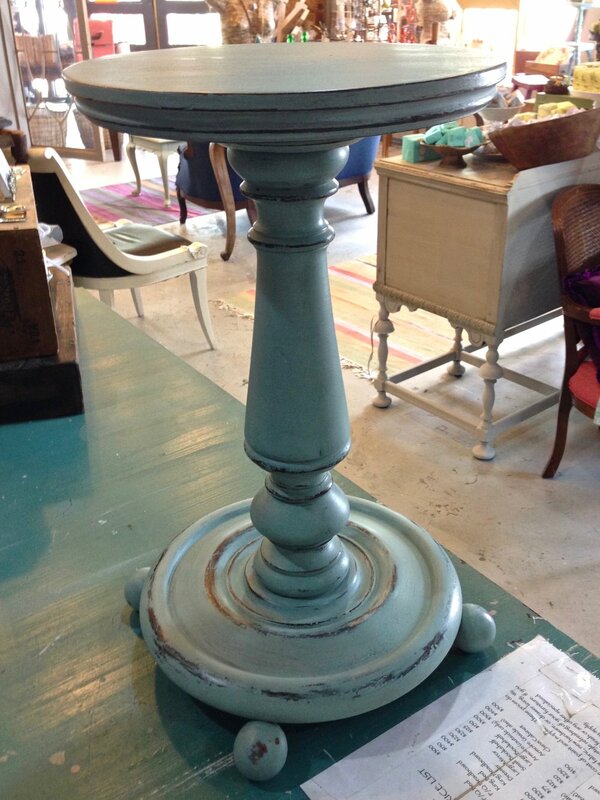 Flow Blue and super chippy goodness from Miss Mustard Seed's Milk Paint! Miss Mustard Seed's Milk PaintLinen goodness went on this tea cart! Delicate and gorgeous in Linen! Check out the top though!